Configurator for recommended dynamic brake resistors ( including former IPC Resistor ) for Allen-Bradley PowerFlex Drives. You’ll be able to enter the catalog number or build the catalog number by making attribute selections, and view resistor selection data, options and information. Configurator for recommended brake resistors for Allen-Bradley 1336 Drives. You’ll be able to enter the catalog number or build the catalog number by making attribute selections, and view resistor selection data, options and information. Being first a manufacturer of power resistors, Post Glover has a vast array of Dynamic Braking Resistors to choose from. This allows us to offer the best possible technical and economic solution for your particular application. We are an original Encompass partner to Rockwell Automation and have built a broad knowledge of their product specifications for dynamic braking resistors, so when you call in requesting a part, Post Glover can quote the needed part fast. Post Glover will ship Rockwell Automation Dynamic Braking resistors up to 20 kW same-day at no additional charge. You can rely on the industry’s most innovative resistor manufacturer with over 100 years of industry experience. We make buying resistors easy for our customers by striving to be the leader in cost and customer service. Ohms are determined by the drive manufacturer and are usually stated as a range or minimum. Watts are stated as either a maximum braking power or continuous braking power. In either case, the wattage rating of the resistor is calculated by the braking cycle. Braking cycle is usually stated as a percentage; however, the actual times on and off can be used to offer the optional resistor package while minimizing size and cost. An application requires a braking resistor rated 25 ohms with an average power during braking of 2500 Watts. The duty cycle is 20% – 10 seconds on and 40 seconds off – with a cycle time of 50 seconds. The ohmic value of the resistor is typically between -0% and +5% – therefore, 25.0-26.25 ohms. 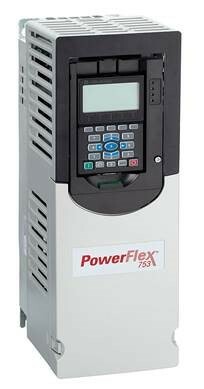 State of the art AC Variable Frequency Drives (VFD) are commonplace today, creating the need for reliable, proven Dynamic Braking Resistors that can be delivered quickly, completely assembled, and ready for convenient installation at the job-site. Dynamic Braking Resistors are used with AC VFD’s to produce a braking torque in the motor during overhauling conditions. The dynamic braking resistor is connected across the DC bus and will see voltages as high as 800 volts. The drive manufacturer normally determines the power rating (watts) needed to prevent overheating during braking duty. The peak braking current is determined by the specified resistance value. Each drive manufacturer specifies a resistance range with a minimum to prevent overcurrent and damage to the drive and a maximum value to give adequate lower dissipation capability. A three-phase variable frequency drive (VFD) consists of three basic components – rectifier, DC line, and inverter – and a control system to manage these three components as illustrated. The rectifier converts the three-phase 60Hz AC input to a DC signal. Depending on the system, an inductor, a capacitor, or combination of these components smoothes the DC signal (reduces voltage ripple) in the DC link part of the VFD. The inverter circuit converts the DC signal into a variable frequency AC voltage to control the speed of the induction motor. During braking, the VFD ramps the frequency to zero. The rotational energy of the motor and load are driven back through the inverter to the DC bus.